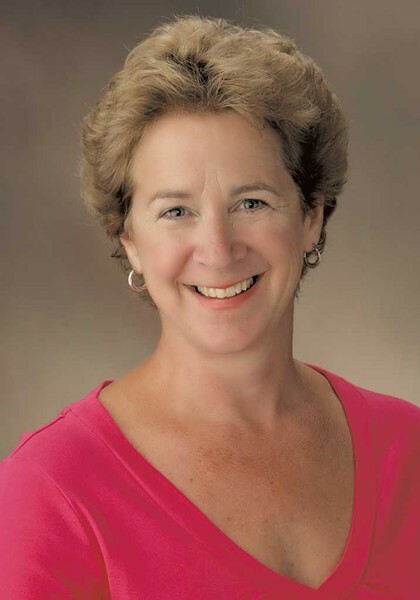 Anita Lotto is a senior loan officer with Colchester-based Mortgage Financial, where she's worked for 17 years. Previously a Realtor with a way-too-hectic schedule, Lotto got into the mortgage business 22 years ago when she had young children. "The mortgage world has provided me flexibility that is the envy of many nine-to-five workers and real estate professionals," she says. "Now that my children are adults, it gives me more time to spend on all of my personal and professional interests." Lotto, 56, grew up in a large family in Morrisville and is clearly a people person. She loves helping clients "work through the craziness that mortgage financing has become," she says. "It's so rewarding to be at that closing table with new homebuyers!" Nest queried Lotto about getting to that table. What do you see as the biggest misperception new homebuyers have when they start looking for a mortgage? That just because their friends did something, they can do it, too! I've never met two folks with the same financial situation, so each borrower needs to be treated individually. My job is to fit them into the best financing program for their situation. Is there a recommended percentage of home cost that a homebuyer should be able to put down? In a perfect world it is 20 percent, but there are many, many programs out there for much less. Five percent down is very common, and there are even zero-percent-down programs if the borrower qualifies. Do I need perfect credit to get a mortgage? I want to say yes so everyone strives for perfect credit! However, if you have stayed on top of your credit in the last 12 to 24 months, you should be in OK shape. I strongly suggest if you are even thinking about buying a home in the next six months, to come and see someone like myself to get your credit reviewed and learn the other strange things we now have to document. Are there common misunderstandings people have about credit, or mistakes? The biggest one is transferring all their credit-card debt to one card. They end up maxing out the limit and closing the cards they transferred it from. They just took the established credit from those existing cards out of the credit-score calculation and maxed out a brand-new card that has no credit history. This will cause your credit score to drop like a stone! I presume a loan officer will help me find the type of mortgage that's right for me — but are there types that homebuyers should avoid? Adjustable rates and interest-only loans are good options for a select few, but most folks like to stay in fixed-rate mortgages. For most, knowing that their payment isn't going to change is key to their financial wellbeing. Is it harder for people now to get home loans than, say, in 2008 or during the recession? Yes! But, you know, it's good in some ways. It got too easy for people who really couldn't handle a mortgage to get one. Now, of course, we have swung the other way where some of the guidelines are a bit ridiculous. We hope that as more loans continue to perform well, things will lighten up on the underwriting end. What documents do I need to bring with me when I apply for a mortgage? One month of current pay stubs, W-2s for the last two years, federal income taxes for the last two years if you are self-employed, two most current months of bank statements, and a photo ID. What are the costs involved in the mortgage process? We ask for the application fee (to pay for the appraisal); all other funds are collected at closing. If you chose to do a property inspection, you will pay that at the time of inspection. Do I need private mortgage insurance for my loan? If you don't put 20 percent down, you will be required to pay some type of mortgage insurance. I would add that folks really need to get prequalified as soon as they are thinking about buying a home ... At the pre-qual meeting, we lay it all out so they know what will be coming at them. Even borrowers who can't buy now receive a road map of what they need to do to be able to buy in the future. The original print version of this article was headlined "Mortgage Mojo"